This entry was posted on June 13, 2018 by usblog. It's been 4 years! 4 years of waiting for the next soccer world cup to start and finally, the time has come. In only a few short days, the eyes of the entire world will be set on the performance of the players competing in the FIFA World Cup 2018. No matter if you're into soccer or not, this global event is fun for everyone and brings people together all over the world. In this article, we will provide the main information on the tournament as well as the teams of the World Cup 2018. We have all followed this event more or less over the years but do you really know its origin and its evolution? 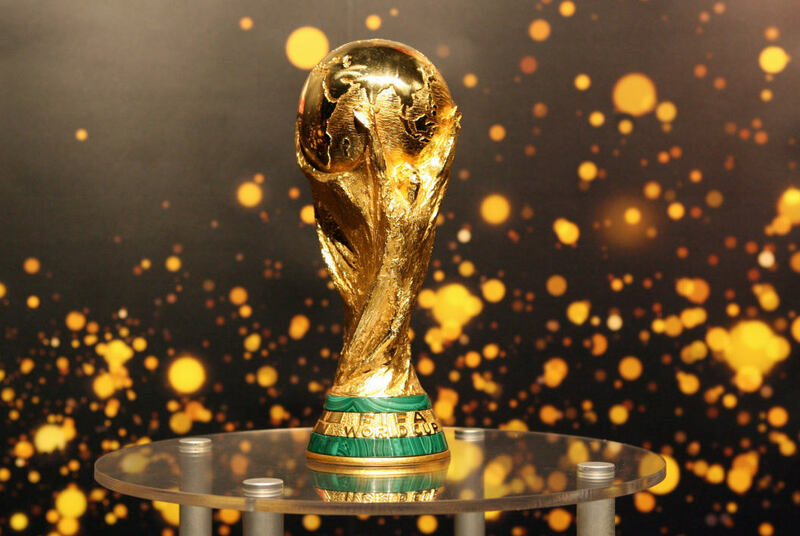 Read on to find out everything you need to know about the World Cup 2018! Initiated by the FIFA (International Federation of Football Association) in 1928 in Amsterdam, the soccer world cup has existed almost a century now. It is a soccer tournament in which the best teams of the world compete to win the famous trophy. The first edition took place in 1930 in Uruguay and was won by the host country of the event. Since then, the soccer world cup has only been won by 8 nations so far even though it has already been held 21 times. Brazil was able to raise the trophy 5 times! Since 1928, the competition has changed and grown a lot. The teams competing in the World Cup 2018 will soon be writing another piece of the history of the tournament and we cannot wait to see it. The tournament will take place in Russia from June 14th to July 15th. The opening match between Russia and Saudi Arabia will be held on Thursday, June 14th at 5 pm. What do you think, who will be the winner of this first match? During the entire event, you will be able to follow 64 matches, in 12 different stadiums. About 2,500,000 tickets were bought by Russians to attend the matches. The budget of the World Cup 2018 is estimated to be around 10 billion euros. The next edition of the World Cup will be held in Qatar in 2022. Together with the Olympic Games. The FIFA World Cup is the most popular sports event in the world. And did you know? The highest score ever was achieved by Hungary's national team in the match between Hungary and El Salvador: 10 - 1 in 1982. Do you think someone will beat this score this year? Let's start at the very beginning: the country that hosts the World Cup is chosen with a vote based on different criteria. Every year, several countries compete to be chosen to host the next tournament for different reasons such as the economic benefits that come with it. The lucky winner this year is Russia. The 32 best national men's teams from all over the world will compete in the tournament. Among this list is, of course, Brazil, the country with the most wins as well as Germany, which has already won the trophy four times. However, the World Cup 2018 is missing Italy after already participating 8 times and also winning 4 times. Do you think one of the countries will win this year's tournament or will there be a surprise winner? It all starts with an impressive grand opening ceremony before it's getting serious. The matches will first be divided into 8 groups of 4 teams. After playing against all the other teams of the group, the 2 teams with the most points of each group will be qualified for the rest of the tournament. From there on, each match will be eliminatory: the winner continues to play, the loser returns home! This is how the round of 16, quarter-finals, semi-finals and finals take place. There will also be a separate match to determine who comes in 3rd and 4th place. The last match of the World Cup 2018 will take place on July 15th in Moscow between the two teams with the most victories and finally, we will know the name of the winning nation. You can go watch the games on giant screens, meet with other fans, wear the jersey of your favorite team or buy a flag of the country you support but why not support his team in a more unique way? At GoCustomized, you can create your own custom case with the flag of your team to show your support! This entry was posted in Random facts, Phone cases and tagged soccer world cup, FIFA world cup, world cup 2018, soccer on June 13, 2018 by usblog. I'm so excited the next world cup will be in the US!! ?? This was really helpful for me, thanks!